Have you ever considered that whale-watching might be a dangerous hobby? 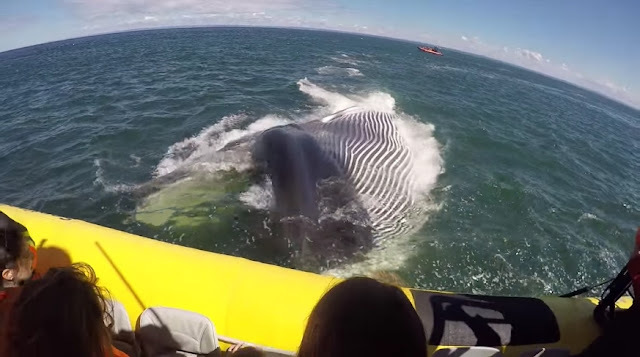 Well, the people in this video are probably considering that after a humpback whale got so close to the audience as it surfaced from down below the ocean. 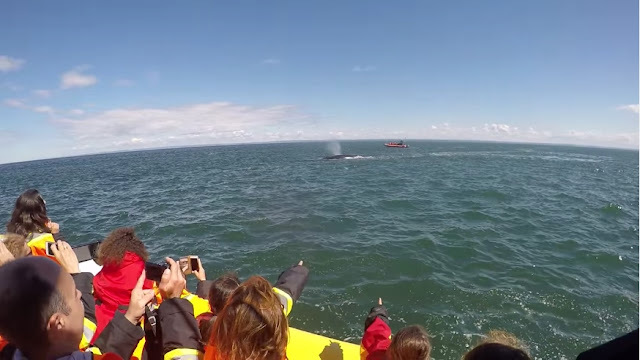 The whale-watching crowd was clearly surprised as the ocean goliath breaks out from the water, opening it’s massive mouth in a breath-taking shot. That looks cool and all, but I’d rather just stay safe here on the ground.